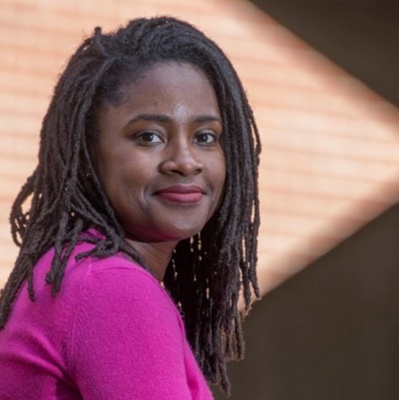 Anasa Hicks is an Assistant Professor of History at Florida State University where she specializes in Latin American and Caribbean history, especially twentieth-century Cuba, Hispanic Caribbean, women and gender, and labor studies. She received her PhD from New York University in 2017. I’m pretty sure (maybe I’m wrong!) that I read a lot more fiction than most historians. I recently finished Lethal White by Robert Galbraith, an alias of J.K. Rowling. I loved Harry Potter as a child, and I love Rowling’s new extremely non-magical mystery series just as much. Currently, I’m in the midst of Annette Gordon-Reed’s The Hemingses of Monticello: An American Family, which is just breathtaking in its analysis of Thomas Jefferson’s complicated relationship with the family of his longtime mistress and slave, Sally Hemings. It’s beautifully written and so engrossing—it’s about 600 pages and I wish it would go on forever. What a cruel question to ask a historian! I love all of my book-children equally. One book that does come to mind, though, is the classic Ambivalent Conquests:Maya and Spaniard in Yucatan, 1517-1570 by Inga Clendinnen. About the conflicts between Catholic priests and indigenous residents of the Yucatán peninsula in the 16th century, the book is so narratively engaging that you barely notice how much you’ve learned by the time you’re finished. I had a mentor in college (Hi, Dr. Pérez!) who suggested history as a possibility. Growing up, I didn’t know any professors and I didn’t know what professors did, aside from teach college. I had always loved history, because I love knowing what people did and why, but I had no idea how people created knowledge by researching and writing. Once I learned what being a historian comprised, I was in. Most of all, historians need to be nosy and open-minded. I say nosy instead of curious because historians transgress what society considers “polite” questions about people’s motivations. We have to go that one step beyond the kinds of questions that people really want to answer about why they did what they did. I say open-minded because often, in the archives, it turns that what you believed was wrong. If you refuse to see what’s in front of you, you’re not doing it right. If seeing the truth means accepting that your hypothesis was wrong, accept it! Re-write your proposal. Mr. Holley, Bates Academy, Detroit, Michigan, 2002-2003. My eighth-grade history teacher taught us from two books: one book on American history was standard for the Detroit Public School system. Another was a textbook of African-American history. Mr. Holley told my class, comprised entirely of black adolescents, that he’d bought those second books with his own money because we needed to know our history. It took me a shamefully long time to understand the subversion of that action, and the kindness. Teaching Cuban history to Cuban-American students in Florida is an adventure. Many of them come to my class with a lifetime of stories about the island, and are shocked by some of the things that they learn in my class. The challenges I face from them has forced me to think concretely about giving students agency in my classes. Even when I’m just lecturing, I try to draw out their own experiences, so that they feel invested and involved and not as though I’m just contradicting everything they’ve ever known. I hope that the field of historians becomes more diverse, and I hope that historians continue to turn their work towards the public. Students learn better from educators who look like them, and not all students are white men. History professors should reflect that reality. And in a political climate where fewer and fewer of our elected officials believe in the relevance of the truth, historians are guardians of what actually happened. Books by historians are urgently necessary in mainstream society. While I’m lucky to be gainfully employed and have a steady income, I don’t come from wealth and I haven’t accrued enough wealth to collect rare books or objects. I do have some Cuban movie posters that are pretty cool, though! I love research. I love being in archives and coming across something that proves what I suspected, or completely obliterates my hypothesis. I love writing horrible draft after horrible draft and finally happening on the right turn of phrase. I dislike how little people know about the professional study of history. It’s frustrating when people ask, “Why do you need to go to Cuba to look at documents? Isn’t everything online?” An explanation of how studying history works should be woven into history education. The digital revolution has been huge for history. Digitized historical documents have made it easier and, importantly, cheaper for researchers to obtain materials from around the world. But it’s important to note that this revolution is mostly US-centric and that, in my opinion, nothing can replace the experience of traveling to an archive. This is not my favorite saying, but the thing that people say most to me when I tell them I’m a history professor is, “Ugh, that was my worst subject!” Once I come up with a witty and succinct response, that will be my favorite history-related saying. I’m in the process of proposing my book manuscript, about domestic workers in 20th-century Cuba, to university presses. Then I’ll embark on my second book project, which will also have to do with 20th-century Cuba but focuses on quite a different group of people. Forgive my secrecy, but I’m not quite ready to reveal that topic to the world at large.